Second Impression: How has Amy Poehler never done a character based on this woman? 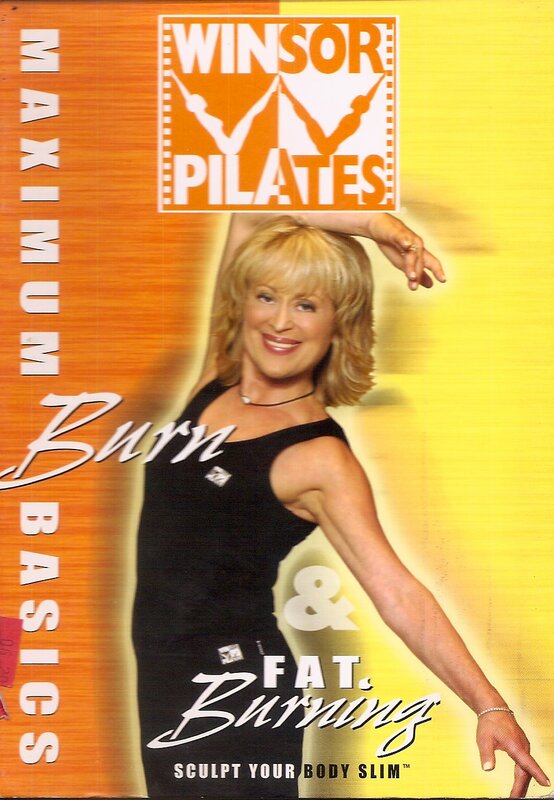 The Maximum Burn Basics workout isn’t the usual mat exercise I would expect. Instead, it’s an aerobic dance routine of moves that approximate Pilates poses, accompanied by some live musicians on the bongos. What is it with Pilates and bongos? This is one of many, many Pilates videos I’ve seen that has a live soundtrack performed on bongos. I do not get it, but I suppose I can stop documenting my surprise now. They keep cutting to a reaction shot of the bongo players laughing, which I suspect is the same shot recycled over and over again. It makes it hard to follow the moves, because whenever Mari Winsor switches to a different move, they cut to the bongo players, bongo-ing, serving as a dreadlocked Greek Chorus, and probably enjoying a private joke where they are making fun of her. Towards the end of the dance routine, she announces we’re going back to the top, to the Cha-Cha. “Remember that?” she prods. Cut to a close-up of one of the dancers, who scrunches up her face in mock confusion, then nods with a pretend ah-ha as she marches it out. Tacked on the end of the DVD is a separate Fat Burning routine, which has more traditional Pilates moves, like the Hundred. This move involves pumping your arms up and down, as if you’re slapping the surface of water. This of course is my cat’s cue to join me on the floor and high-five me with his little paw every time I pump my arms. Cutest exercise disruption ever! This entry was posted in Reviews and tagged 45 minutes, cardio, dance, live music, Pilates, talky, uncomfortable banter. Bookmark the permalink.